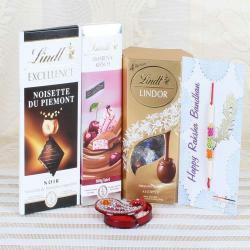 Product Consist: Lindt Erdbeer-Rhabarber Chocolate (Weight: 100 gms), Lindt Excellence Baies Roses Chocolate (Weight: 100 gms), Peacock Designer Rakhi along with Roli Chawal Container. 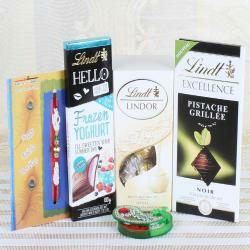 Raksha bandhan celebration is fulfilled with a range of different rakhi and gifts. This pack comes with traditional peacock motifs. 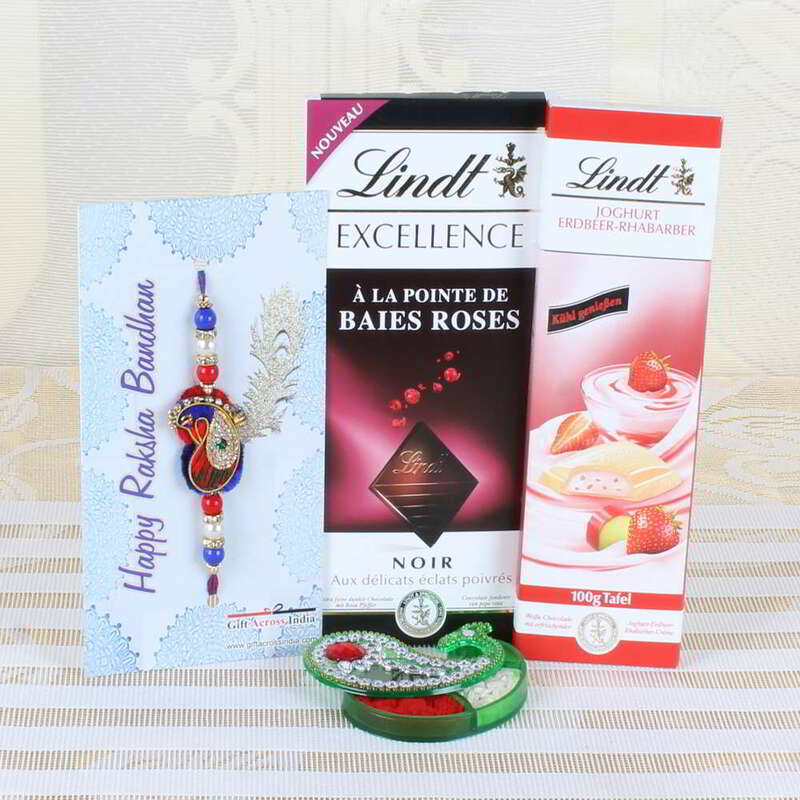 Peacock Rakhi with Lindt Imported mouth watering Chocolates and the collection of rakhi and chocolates are packed in the gift. It is made only to give an excellent taste with amazing Rakhi threads. It is suitable for youngsters to celebrate this festival with chocolate. It is a trendiest way one can supplement sweets on that day. 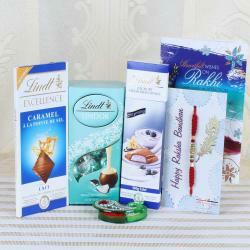 Each chocolate in the pack offers a different taste and avail peacock rakhi with chocolate flavor. A gift like this is to know the importance of rakhi festival in their life. 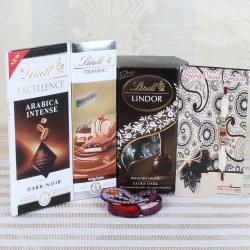 Product Consists of: Lindt Erdbeer-Rhabarber Chocolate (Weight: 100 gms), Lindt Excellence Baies Roses Chocolate (Weight: 100 gms), Peacock Designer Rakhi along with Roli Chawal Container.